3037 Wenonah Rd SW Birmingham, AL. 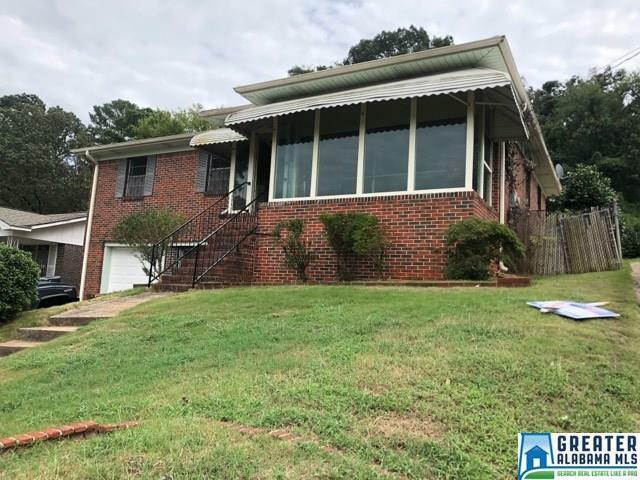 | MLS# 828704 | Avast Realty LLC | 205-951-8992 | Your Ultimate Resource in Real Estate. Let's guide YOU home! BEAUTIFUL 4 BR 1.5 BATH BRICK HOME IN GOLDWIRE ESTATES. THIS SPACIOUS HOME INCLUDES LIVING, DINING, DEN, AND MEDIA/BONUS ROOM. ENJOY OUTDOORS ON THE PRIVATE LANAI IN THE BACK FOR GRILLING AND ECLOSED FRONT PORCH. A ONE CAR GARAGE AND ADDITIONAL DRIVEWAY FOR PARKING MULTIPLE VEHICLES FOR YOUR CONVENIENCE. LARGE FENCED YARD WITH SHED CONVENIENT TO LAKESHORE AND I-65. WELCOME HOME!! !